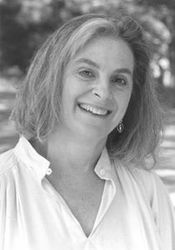 Karen Chase lives, writes, and teaches in the Berkshire Mountains of Massachusetts. Her poems have appeared in many magazines, including The New Yorker, The New Republic, and The Yale Review. Her book of poems, Kazimierz Square, was short-listed for Best Indie Poetry Book of 2000, and her work has been included in major anthologies such as The Norton Introduction to Poetry and Billy Collins’s Poetry 180. She has been a Rockefeller Bellagio Fellow and a MacDowell Fellow. Do you have any comments, criticism, paraphrasis or analysis of this poem that you feel would assist other visitors in understanding the meaning or the theme of this poem by Karen Chase better? If accepted, your analysis will be added to this page of American Poems. Together we can build a wealth of information, but it will take some discipline and determination.